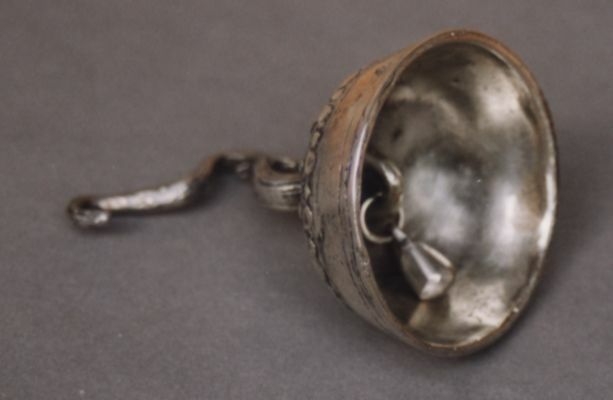 this is a Continental antique silver bell with a dolphin-shaped handle. 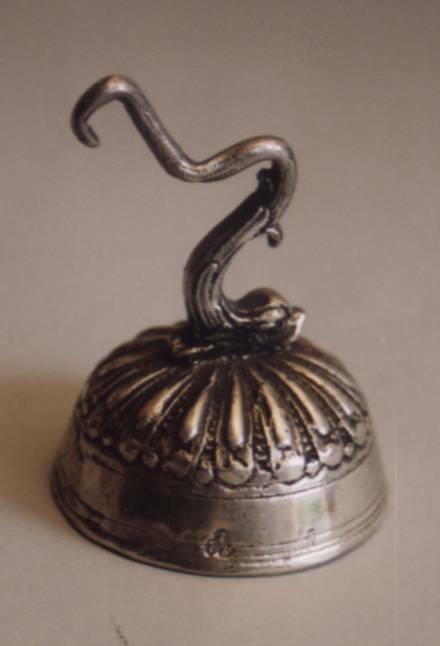 The dolphin's scroll tail suggests that the bell was hung to an inkstand. The bell has a pair of marks (probably of German Area), but I was unable to identify them and your help would be greatly appreciated (email to giorgio). It is 2 1/2 in. high (cm. 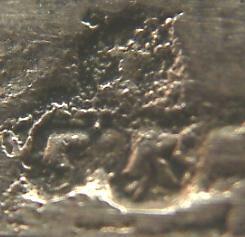 6,5) and was bought from an Austrian dealer at an Antique Market in Wien.